Students - Today's poem is a shortie and a sweetie. It is about something that I believe is very important: making things. I love making things, and I love watching other people make things too. Today I am very happy to welcome second grade teacher Laurie Luft and her students from Terry Taylor Elementary in Spencerport, NY. 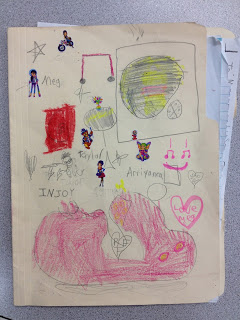 I had the opportunity to visit their classroom in June, and I learned about something new and neat: Fun Poetry Mondays. Welcome, Laurie and students! 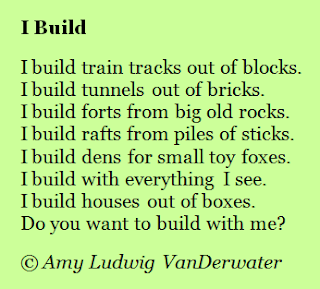 Click the arrow to hear a Fun Poetry Friday welcome! 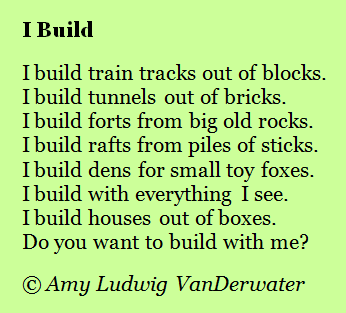 The Fun Poetry Monday group met daily, wrote the opening and closing "jingle", decided on the poem to be read the following Monday, and then practiced the announcement. 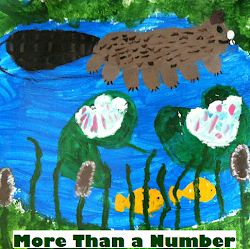 It was so exciting to see a student-driven project like this come out of one student's love of poetry! I was the facilitator and would check in with the group periodically throughout the week to provide guidance and make suggestions. The group performed three Fun Poetry Mondays during the month of June, and I am so proud of them for their creativity, collaboration, and ability to apply those 21st Century critical thinking skills on this real-life project. 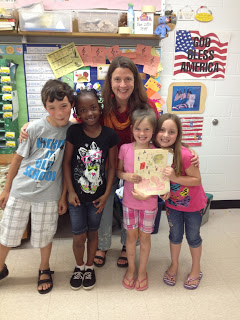 These students got to share their love of poetry and their project idea with Mrs. VanDerwater when she visited. They were so excited! 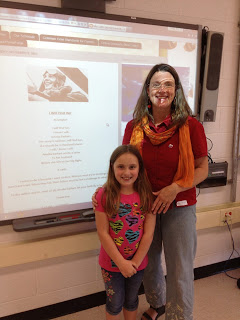 Meghan wrote and shared a poem about Amelia Earhart. Her story is sad but I will find her. She should be somewhere in the Howlind ISlands. Before she left on her big flight. men have tried. When they fail, their failure must be but a challenge to others." 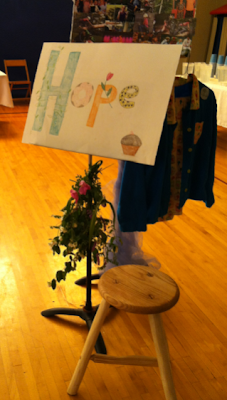 Click the arrow to hear Meghan read her poem, "I Will Find Her". 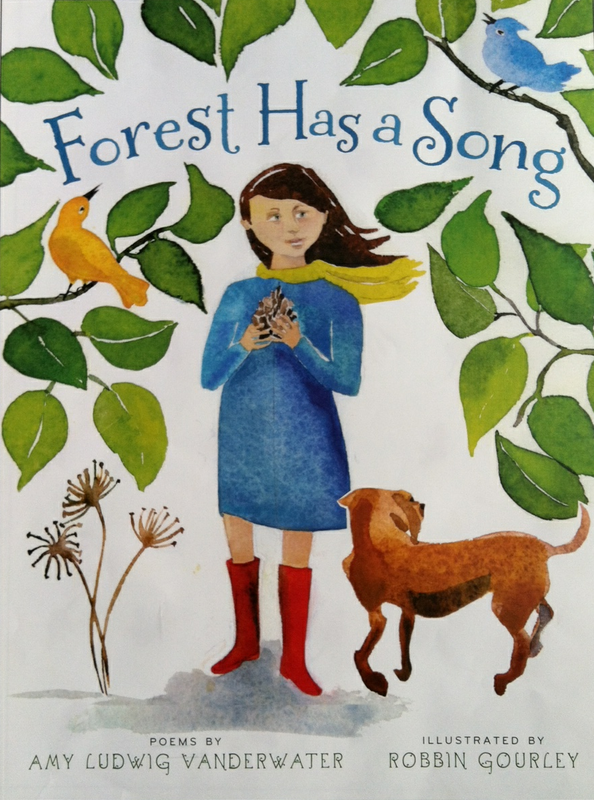 It was an absolute delight to visit Laurie Luft and her second graders, and I was so happily surprised to find this wonderful slide show of our time together at the class blog. 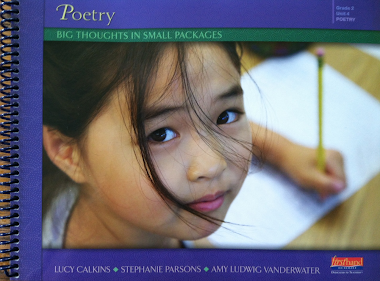 Thank you, poet friends and thank you, Laurie Luft, for opening your classroom to me. 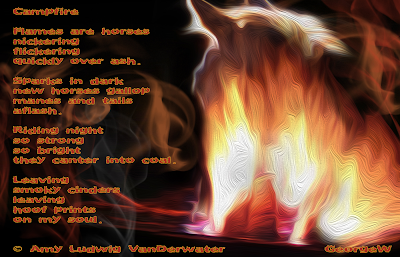 Today I also welcome George Welgemoed with two more poemdesigns for poems he found here. In each of these designs, George has used either his own or his son's photographs (yes, that is George's son's tarantula), and then, through filtering and various brushing effects, he brings the imagery to life. Notice how he uses different fonts and colors to create a mood for each poem. If you click on either one, you will be able to read the poems. I have made a special place here at The Poem Farm for George's work, and you can find it by clicking on the Find a Poem tab above, and then following the link to George's art. Click to enlarge and read the poems. 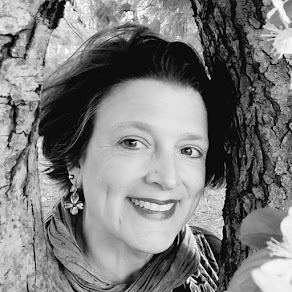 Sherry is hosting today's Poetry Friday roundup over at Semicolon, and Matt Forrest is hosting over at Radio, Rhythm, and Rhyme. Poetry Friday is EVERYWHERE. 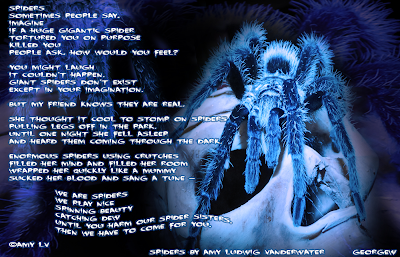 Amy, your poems and George's designs are a lovely combination! 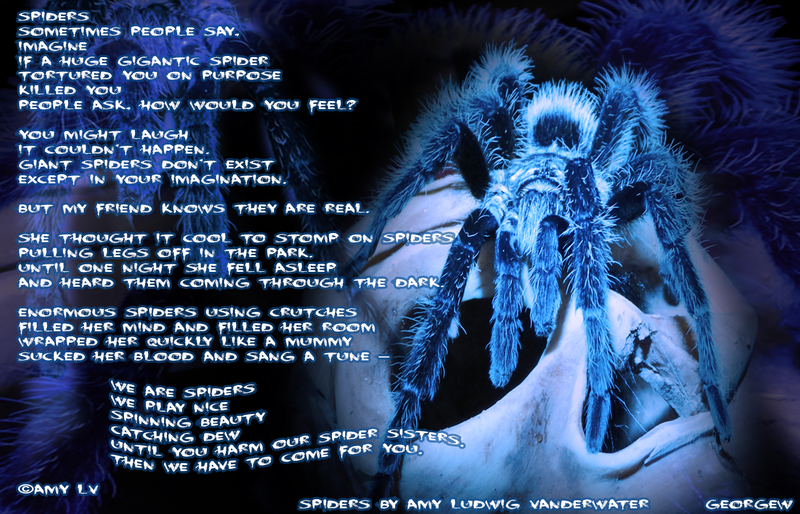 I can just imagine the giggles and faces kids will make when they read "Spider." That would be a great poem to perform! 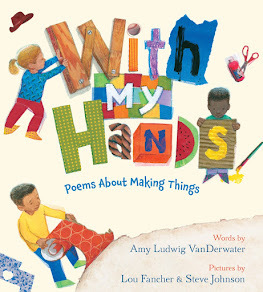 When it comes to making things, you sure know how to make a good poem! Now, I'm going to take a look at the designs George made for your other poems! Well first, Hope's stool is impressive. I never did 'make' anything like that, but I have a cedar chest & two lamps that my father made in high school shop. My own children didn't either-what a gift to be able to create like that! And I enjoyed especially 'hearing' Megan read her poem about Amelia. I hope she does find her one day. And George's illustrations again are marvelous-that fire/horse picture is amazing. Thanks for so much, Amy! Why am I not surprised that there are "makers" in your family?!? !